Single-fold and gate-fold cards have the week off! I chose to work with the "Hand Saw" image, and be quite literal with the "other" meaning of our theme this week! I have a friend whose family recently finished construction on a new home - and they did quite a bit of the work themselves. This had been a really looooooooooooooooooooooooooooooooooooooooong process for them, and I know they are glad to be done. My card is a step card, which I've never done before (thankfully there are a ton of YouTube tutorials that walk you through it). It didn't turn out quite like I envisioned, but I do like the effect, and will be making another card like this! The background paper was from my scraps pile, and I used a black marker on a piece of yellow card stock to get the stripey portion at the bottom. I created the sentiment panel on the computer, edged it with some walnut stain Distress Ink, then added a bit of jute twine and a little metal key charm from my stash. Thankfully my teamies aren't as literally minded as me! 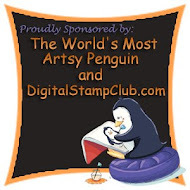 Be sure to go by Card Crafter's Circle to see their fun creations! SARA!! This creation is truly awesome . LOVE IT to bits .Love the saw with wood look panel behind , love the' hazard' look strip at bottom and then that key charm , what a great touch . I love this, it's brilliant. This is a superb manly card! 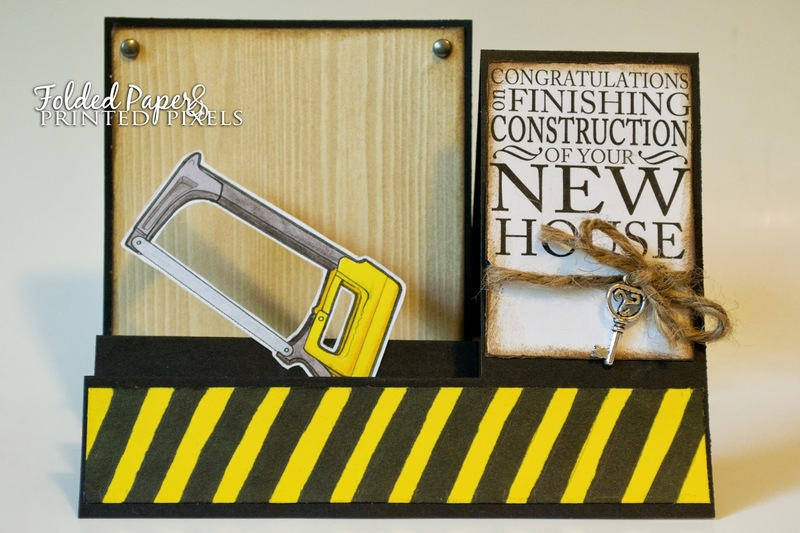 Love how you used the saw and the charm is great to!